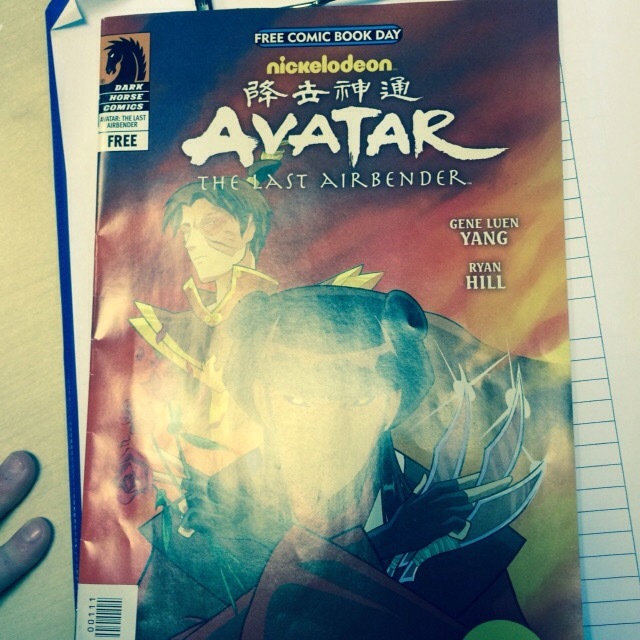 The instruction of playing the audio: Google Drive -> “Search Drive” to type “xiyouji”-> open “xiyouji” folder, you’ll find all the audios of the story. 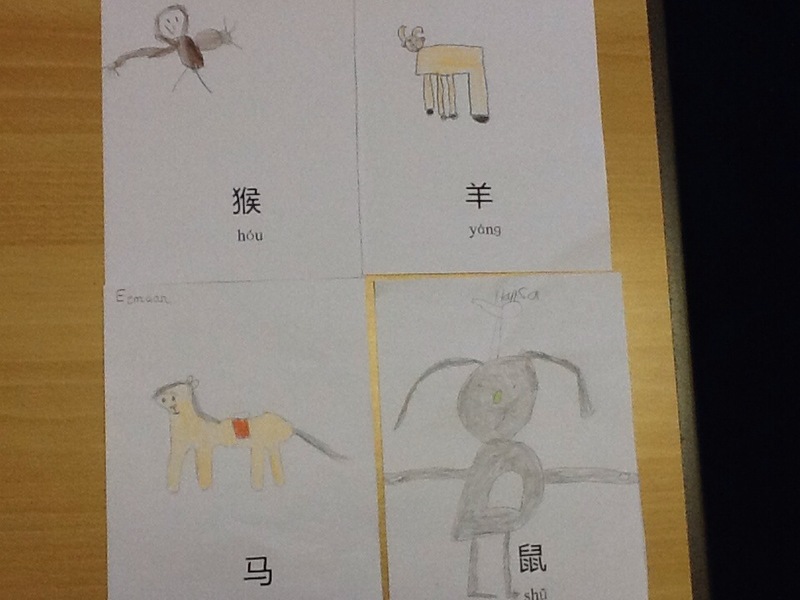 Year 1 reading Chinese animals! 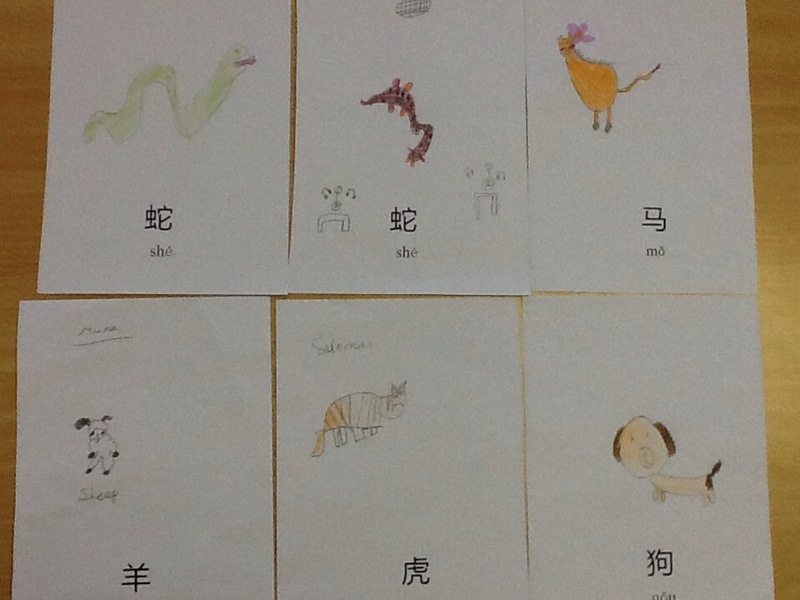 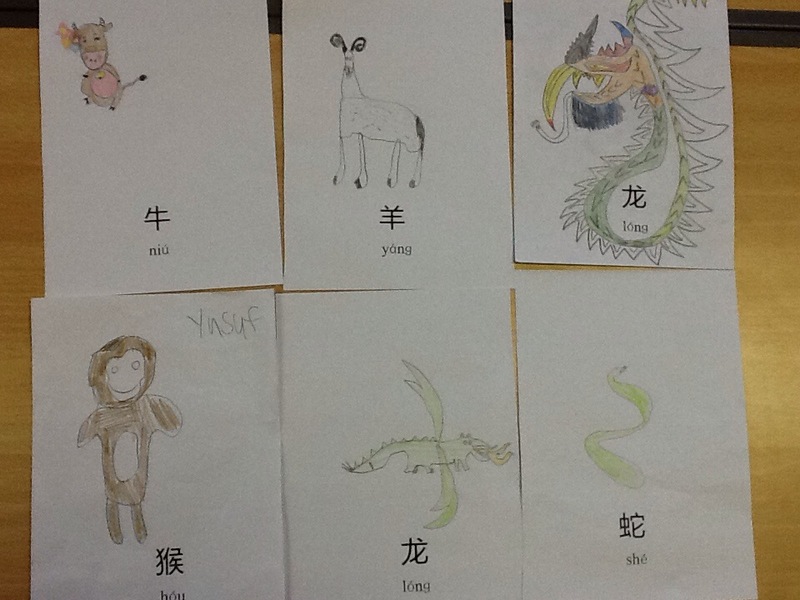 These children have been reading Chinese Zodiac animals and shown their understanding in these amazing drawings! 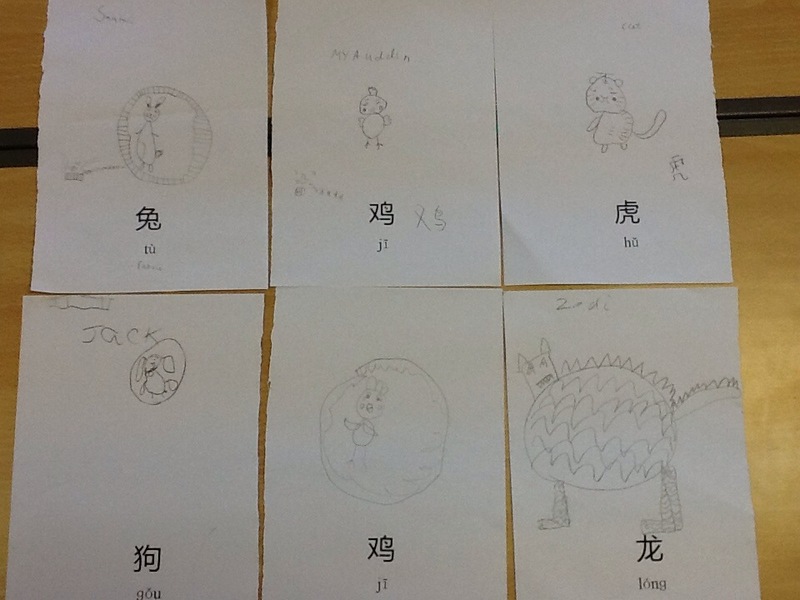 How many can you read? 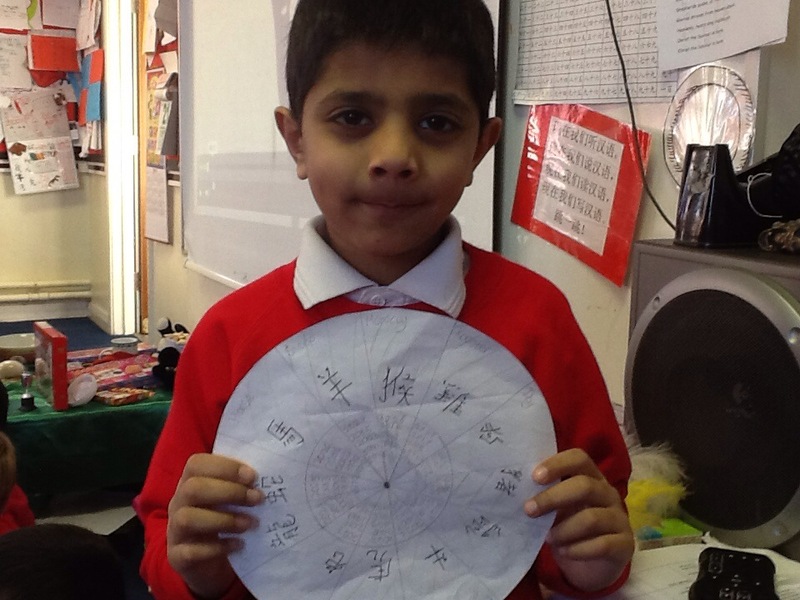 Also in Year 2 one boy has been working with his Mum with this great Zodiac wheel. 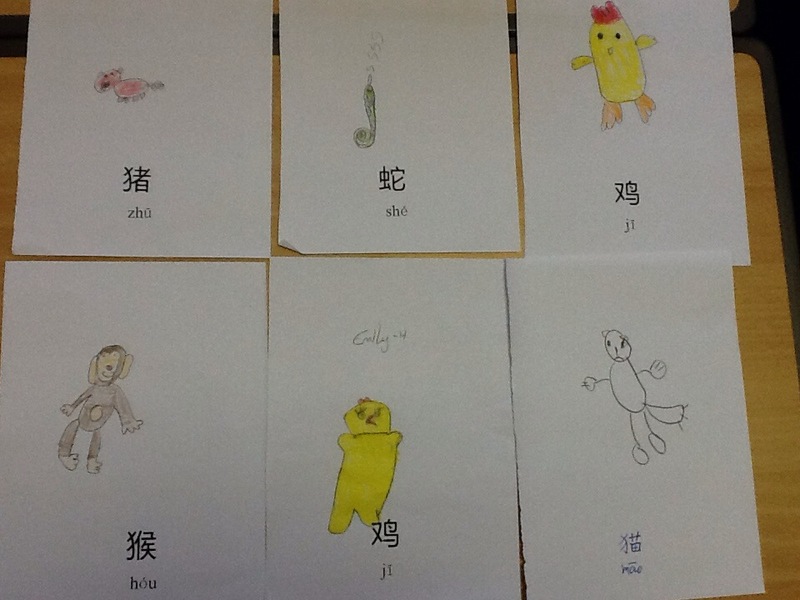 Hěn hǎo 很好 ! 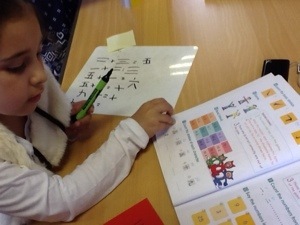 The entire school has painted a pebble either black or white and over the morning we filmed the students creating a giant panda. 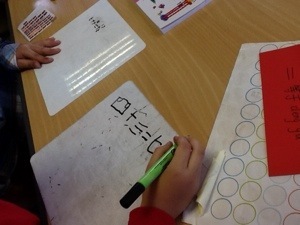 Check out our results! 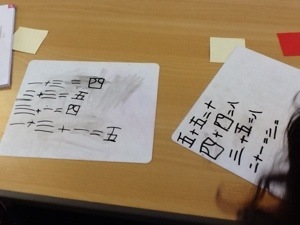 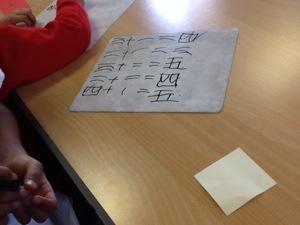 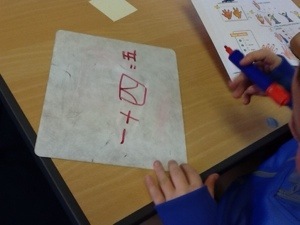 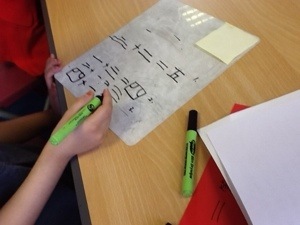 Year 3 have produced some marvellous mandarin maths!